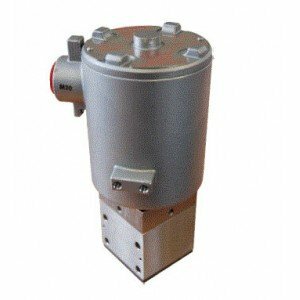 These specially developed valves have been designed to switch at high pressures of up to 1140 Bar, and can be used with a range of media including mineral oils, water glycols, synthetic fluids, methanol, fresh water, natural gas, and nitrogen amongst others. 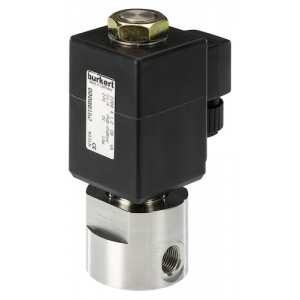 With designs from Burkert and Midland, there’s a wide selection of port sizes, body materials, pressure ranges and seal materials to choose from, and the entire range of solenoid valves comes with the sensible pricing and prompt delivery standards you’ve come to expect from Fine Controls. Port Connection: G 1/4. Body Material: Stainless steel 1.4401. Seal Material: Stainless steel/PCTFE. Max Pressure: 250 Bar. Direct-acting, normally closed and normally open. Electrical connection cable plug Form A. Also available with ATEX approval. This version of the DN2 series features the new Cartridge Insert System, alternative to conventional ball-seated type internals. The one-piece Poppet Cartridge Insert System simplifies replacement and reduces repair costs. 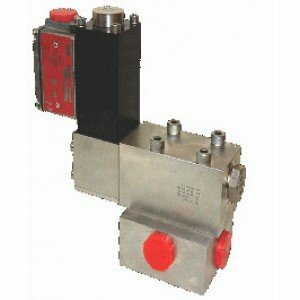 An IECEX compliant DN2 series cartridge insert hydraulic control valve. St/St design ensures leak tight shut off and incorporates a balanced internal piloting system to enable the low powered coil to switch the valve at high pressures. 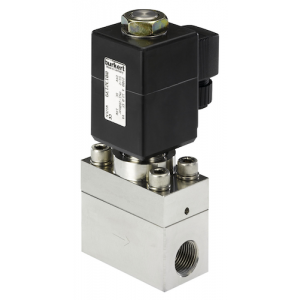 A ball seated version of the DN2 hydraulic control valve, the st/st seat and ceramic ball design ensures a leak tight shut off. The DN2 valve design incorporates a balanced internal piloting system and lever mechanism. The fully st/st DN5 Pilot and Mainstage use cartridge insert technology to simplify replacement and reduce downtime costs. 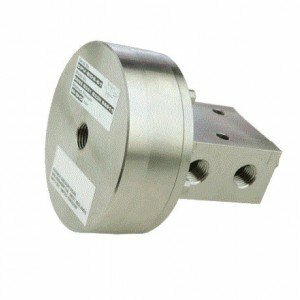 Features include 'O' Ring interfaces for subplate fitting or a manifold mount for use with actuators and wellhead applications. 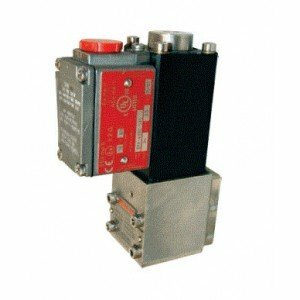 IECEX compliant version of the DN5 series metal to metal seated hydraulic control valve. 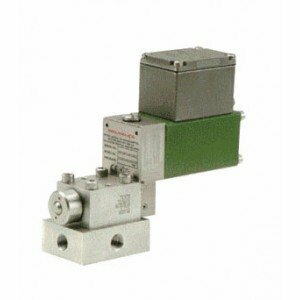 St/st design ensures leak tight shut off, incorporating a balanced internal piloting system enabling the solenoid coil to switch the valve at high pressures. 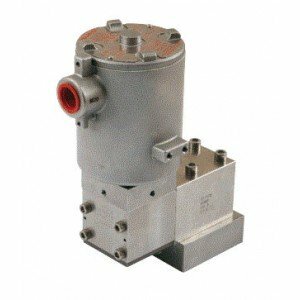 St/St seat and ceramic ball design ensure a leak tight shut off and a balanced internal piloting system and lever mechanism to enable low powered operators to switch the valve at high pressures. Piston operator and ball seated design, ensures leak tight shut off and positive control. 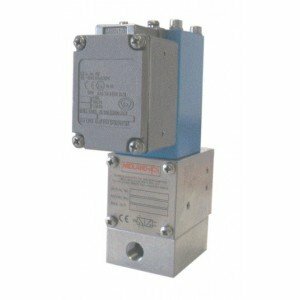 Can be supplied with a range of operators, for varied pressures & ambient temperatures, and be in-line mounted or subplate/multi-station manifold mounted. 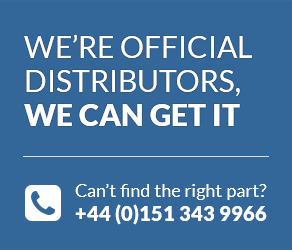 For peace-of-mind before placing your order, please feel free to contact us with any questions about any of our instrumentation products, or give us a call on +44 (0) 800 328 8511 for impartial advice and recommendations. Alternatively, take a look at the downloadable PDFs that accompany all of our products.